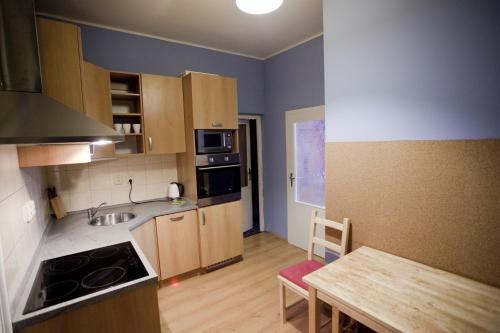 Located in Prague, next to the Riegrovy Sady Park and a 15-minute walk from the Prague Main Train Station, TopApartmany offers free Wi-Fi internet access and a living area with a flat-screen cable TV and DVD player. There is a shared, fully equipped kitchen available to guests and a hall with a shared washing machine, a tumble dryer and ironing facilities. Bathroom facilities are shared in the corridor. 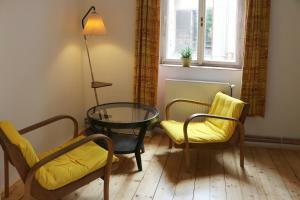 Residence Římská 45 price per day from €24 A leisurely 10-minute walk away from Wenceslas Square, Residence Římská 45 is located on the top floor of a typical Functionalist-style house of the 1930s. 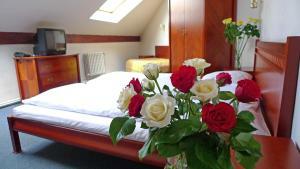 All rooms are reachable by elevator and have cable TV, a private bathroom, a refrigerator and a safe. 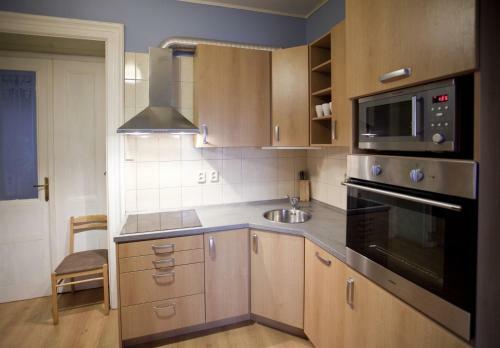 A shared tea kitchen and an internet workstation are available as well. Breakfast is served in the Claris restaurant, which is 150 metres away from Residence Římská 45. 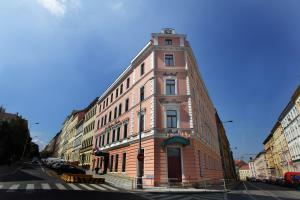 Carlton price per day from €40 The completely refurbished Carlton hotel is only 3 tram stops or 5 minutes away from Prague's city centre and offers free WiFi in all of its air-conditioned rooms. A tram stop is in the proximity of the hotel; the main train station and the underground line C are only 7 minutes (3 tram stops) far from the hotel. Don't miss to explore the nearby green Parukarka hill. 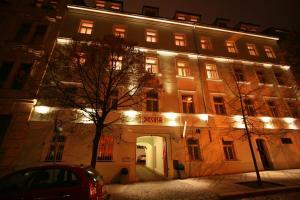 Authentic Czech pubs can be found in the surroundings of the Carlton hotel. 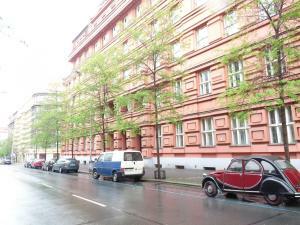 Budget Apartment price per day from €15 Prague’s Budget Apartment is just 3 km from Riegrovy Sady Park and the Vitkov Monument. Many shops and restaurants are in the area and Wenceslaw Square is 4 km away. These spacious rooms have modern furnishings and large windows that flood the units with a lot of natural light. 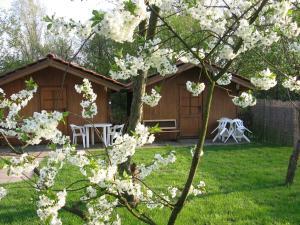 A communal kitchen and laundry facilities are also available for use on site. Wi-Fi is available free of charge. The Olšanské nám tram stop and the Jiřího z Poděbrad metro station can be reached on foot in 10 minutes or less. 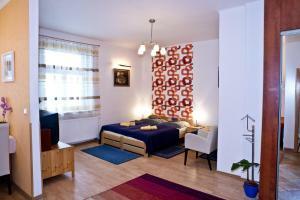 TopApartmany Located in Prague, next to the Riegrovy Sady Park and a 15-minute walk from the Prague Main Train Station, TopApartmany offers free Wi-Fi internet access and a living area with a flat-screen cable TV and DVD player. There is a shared, fully equipped kitchen available to guests and a hall with a shared washing machine, a tumble dryer and ironing facilities. Bathroom facilities are shared in the corridor. 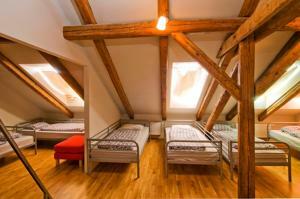 Restaurant U Bile Kravy, Prague Guest reviews: 9,4/10 ~ 0,9 km from TopApartmany Address: Rubesova 10, Praha 2, 120 00, Prague. Cuisine: French. 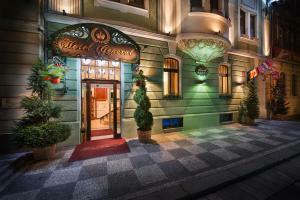 Restaurant The Alcron, Prague Guest reviews: 9,4/10 ~ 1,4 km from TopApartmany Address: Stepanska 40, 110 00, Prague. Restaurant K The Two Brothers, Prague Guest reviews: 9,4/10 ~ 1,6 km from TopApartmany Address: Petrska 1136/12, 110 00, Prague. Cuisine: Indian. 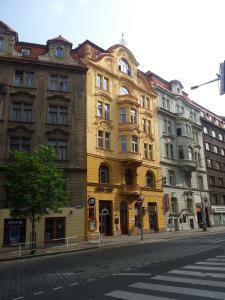 Restaurant Sansho, Prague Guest reviews: 9,2/10 ~ 1,7 km from TopApartmany Address: Petrska 25, Prague. Cuisine: Asian. Restaurant CzecHouse Grill & Rotisserie, Prague Guest reviews: 9,2/10 ~ 1,7 km from TopApartmany Address: Pobrezni 1, 1860 00, Prague. Cuisine: American.